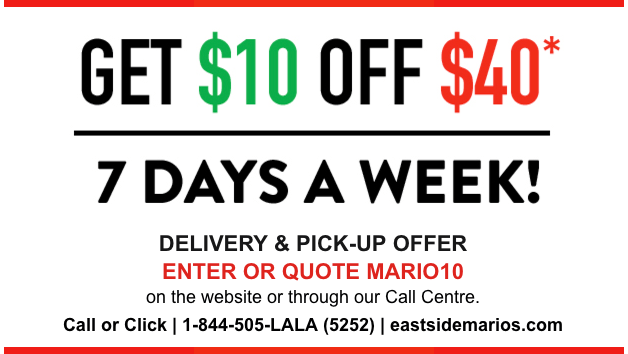 This East Side Mario’s Canada offer is valid 7 days a week for delivery & pick-up only until Sunday, March 5, 2017. Only at participating restaurants. $40 spend is exclusive of delivery fees and taxes. Delivery available at select locations only. To get this offer, enter MARIO10 at checkout. To qualify for delivery you must purchase a $14.99.